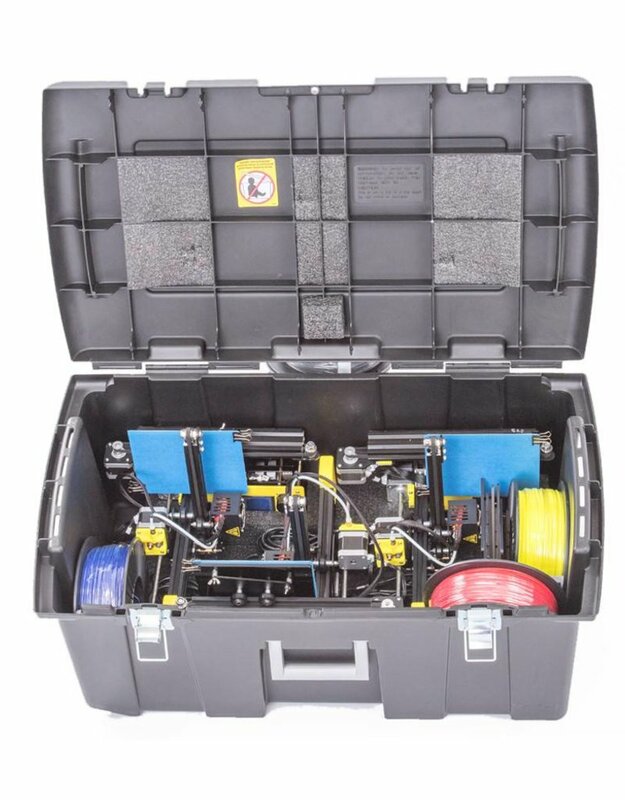 The A5 case has a custom foam insert that nests three NWA3D A5 printers safely inside. It can also hold filament, power supplies, and spool holders. You can safely store your printers, or roll them between classes or to your mobile makerspace. The A5 case can also be locked (lock not included).